This means, the Govt can now say that they have constructed 34,378 km of highway last fiscal, instead of saying 9,829 km. 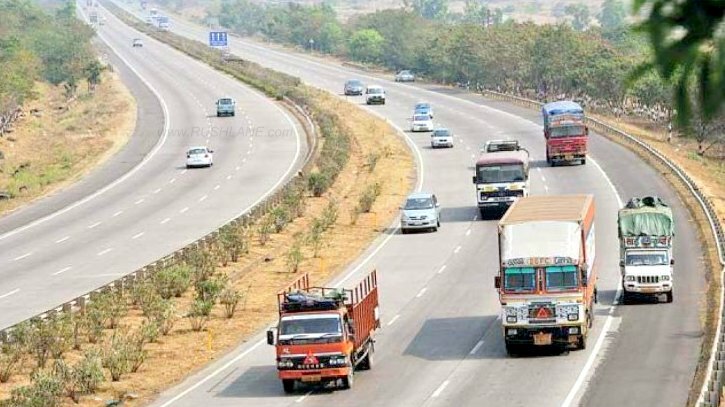 Road Transport Minister, Nitin Gadkari has announced that from 1st April 2018 the Government of India has adopted the lane-kilometer concept for measuring highways. This is against the linear length method which was used in the past. The lane-kilometer method takes into consideration the length of each lane that is built as against counting overall length of the highway. For example, if a particular stretch of highway consists of 4 separate lanes of 1 km each, then the length of that highway will be 4 kms. This will allow for better calculation of actual length of highways constructed in the country, says the Govt. This system of calculation is an internationally adopted norm and countries like the US also follow this same system. It is on this lane-kilometer measurement basis that targets for road construction for the coming year will be done. 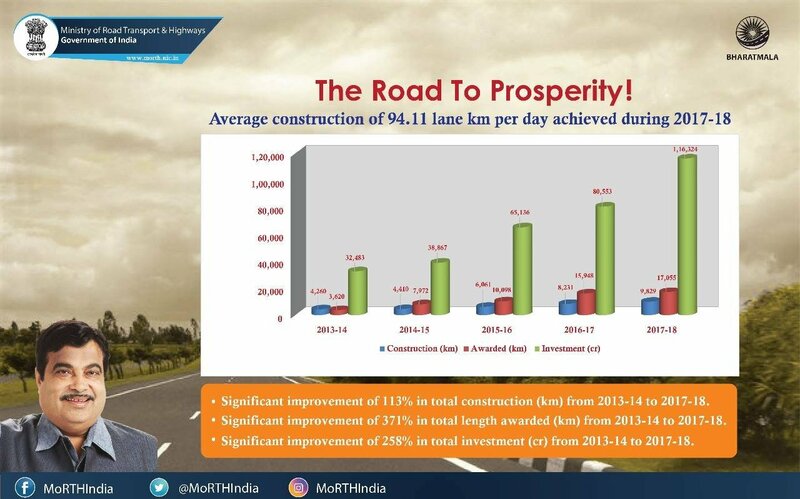 In 2017-18, total length of highways constructed on lane-kilometer basis came to 34,378 kms as against 9,829 kms when counted via the linear method. The change to this new lane-kilometer system also makes a difference in the budget allocation. Building a two lane highway along with paved shoulders is estimated to cost between Rs 6-8 crores per km. This cost escalates to INR 14-20 crores for a 4 lane expressway. The new system of measurement is not to escalate highway construction figures but to put forth a more realistic calculation system.